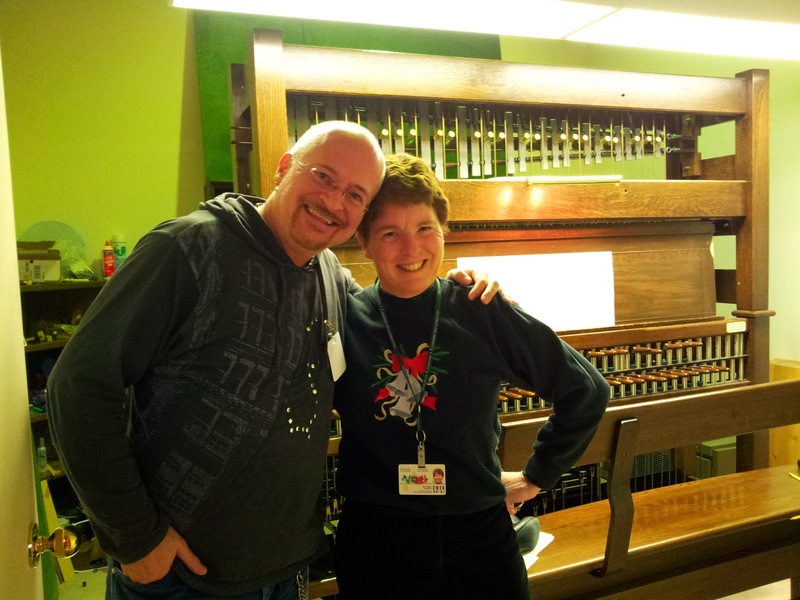 We are thrilled to announce that our beloved Dominion Carillonneur, Andrea McCrady, will again honour Stairwell Caroller director and choral composer Pierre Massie with a carillon program of his music. 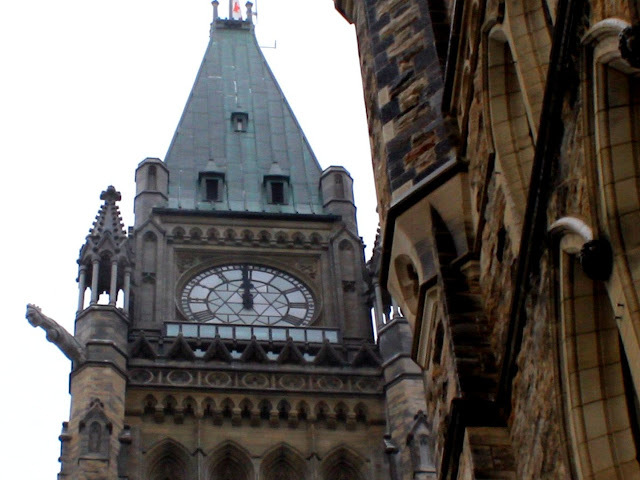 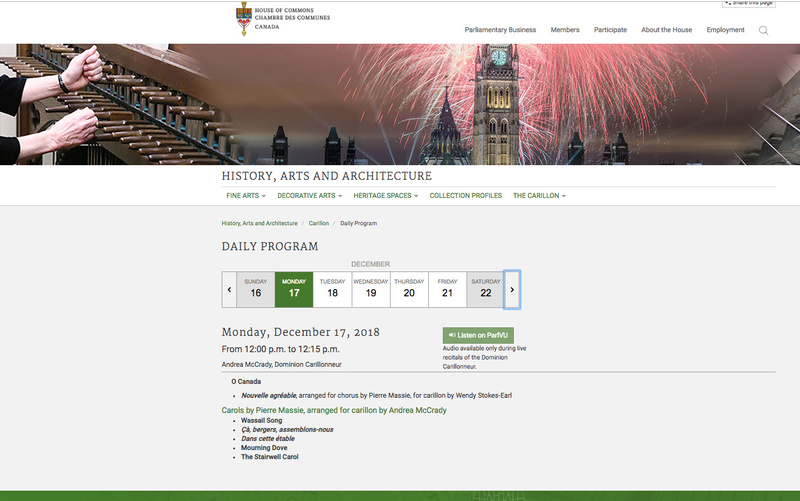 The noon hour carillon performance will take place Dec 17, 2018. 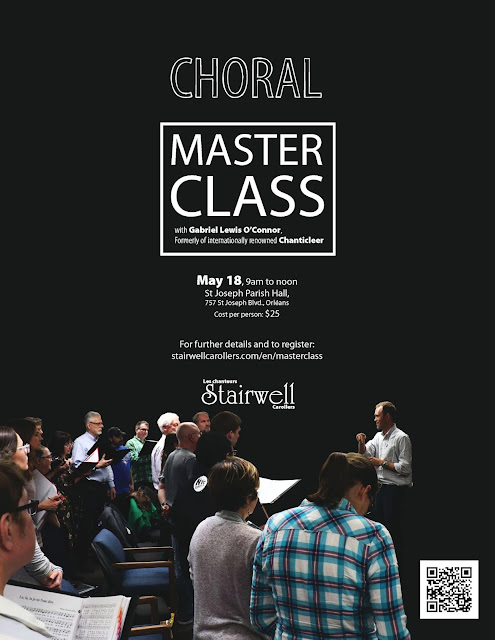 Exclusively made up of Pierre's arrangements and compositions, the concert features the premiere of a new carillon setting of his "Nouvelle Agréable" by Wendy Earl - one of Andrea McCrady's graduating students.